A Few Paragraphs: A better way to escape a riptide?? A better way to escape a riptide?? Earlier in the week I wrote about how to spot a riptide and the official government way to escape one. But thanks to an alert reader on Reddit (where the world comes to spew its wisdom) I now know that there is an alternative, countercultural method to free yourself from a riptide if one is trying to drag you to your doom. 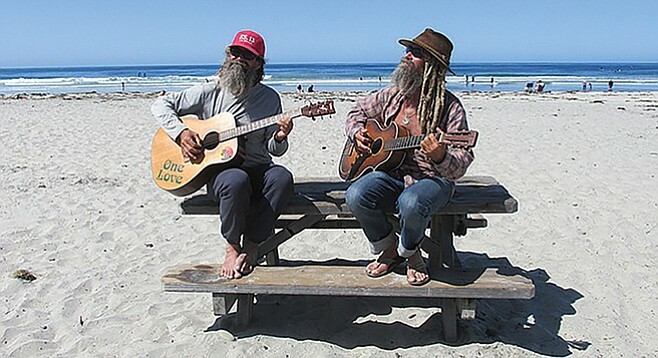 And it's being spread far and wide by the 2 old surfer hippies pictured above. Their message in a nutshell: Don't swim parallel to the beach, swim toward the waves.